The countdown is on...the last day of school is just 7 days away! I'm actually getting pretty sad about saying goodbye to my students, but I am definitely excited about summertime! For today's post I wanted to share an organization that is near and dear to my heart: Operation Smile. 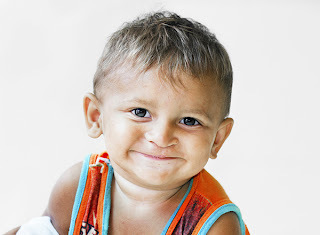 Operation Smile is an international charity that works to help children with facial deformities such as cleft palates. Their main goal is to bring smiles to kids faces...you KNOW that's something we support here at Sundresses and Smiles! What I didn't realize until researching for this blog post, is that these deformities are not just a cosmetic deformity. They can affect a child's ability to eat, speak, socialize, or smile. Additionally, these children are sometimes shunned by society because of their deformity. Every three minutes a child is born with one of these deformities. Since 1982, Operation Smile has worked to give children their smiles back and provided them with a better life. Through the help of medical volunteers and generous donations, Operation Smile has provided more than 2 million patient evaluations and over 200,000 free surgeries to children and young adults in more than 60 countries. What's even better is...there's an easy way you can help! I was recently contacted by Campus Book Rentals. I know that many of you, my readers, are college students. Well, not only does Campus Book Rentals offer great deals on renting textbooks...BUT...a portion of their proceeds goes to Operation Smile! In fact, this year alone, Campus Book Rentals has donated over 1,000 surgeries to Operation Smile! Their textbooks are rented at 40-90% off bookstore prices, they offer free-shipping both ways, you can highlight in the books, AND, Operation Smile gets a donation for every textbook rented! SO...for those of you that order your textbooks online or like to rent, bookmark this website NOW and help adorable kids smile! Have a great weekend!! I'm SO excited that summer is near and I can get back to blogging! I love Operation Smile and I'm so excited that you are going to get back into blogging now that the school year is done! Hooray! It's so nice that they are doing this. This is really so special. I love meeting other bloggers who are such great people, inside and out!